The best thing about hiking the Heather Trail in Manning Park is most of the elevation you normally would have to hike to see such beauty is done by driving to the trailhead. The Heather Trail can be experienced either as a day hike beyond Buckhorn Camp or as a multi-day trip that completes the entire 42km route (return) with stops at several campsites. 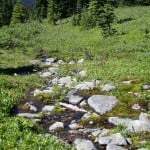 This route through Manning Provincial Park is an amazing hike that gives you everything that a hike can deliver. 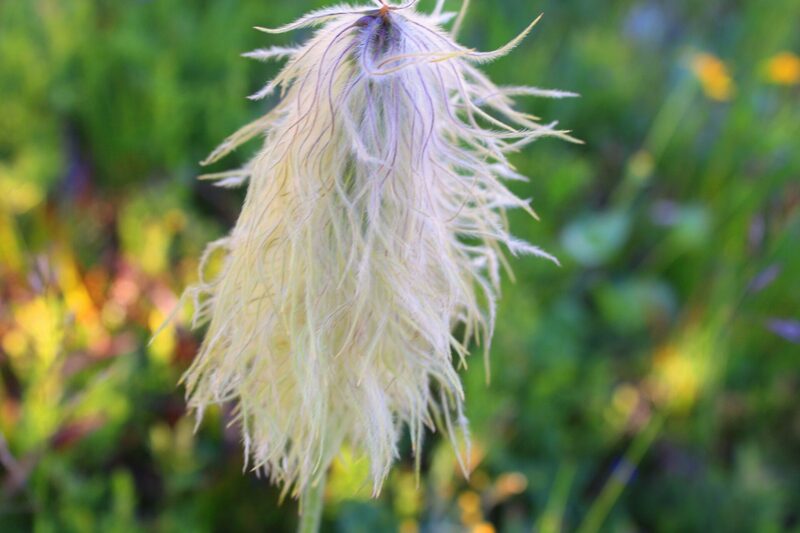 With its rolling hills, mountain views and sub-alpine flowered covered meadows, it is a gift to your eyes. 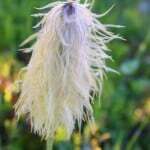 In the summer months, your senses will be treated to yellow glacier lilies, Indian Paintbrush and Western Anemone (I’ll call it the Dr. Seuss flower). Many other wildflowers line the trails and dance in the meadows. In the fall months, the meadows are blanketed in pale purple, gold, auburn and ruby. The summer months are busy with tourists and lots of bugs while the fall months are quieter and almost bug free. Drive to Manning Park Lodge in Manning Provincial Park, BC. The lodge is well stocked with souvenirs, snacks and drinks. There are washrooms, a bar and a restaurant. After you’ve stocked up, drive north up the steep hill about 11km to the trailhead. The drive alone is spectacular! Park your car at the upper parking lot. There is a pit toilet here. The Nature Loop Trail will give you immediate views as you walk along the western slope of the Lone Man Ridge as it leads you into Heather Trail. 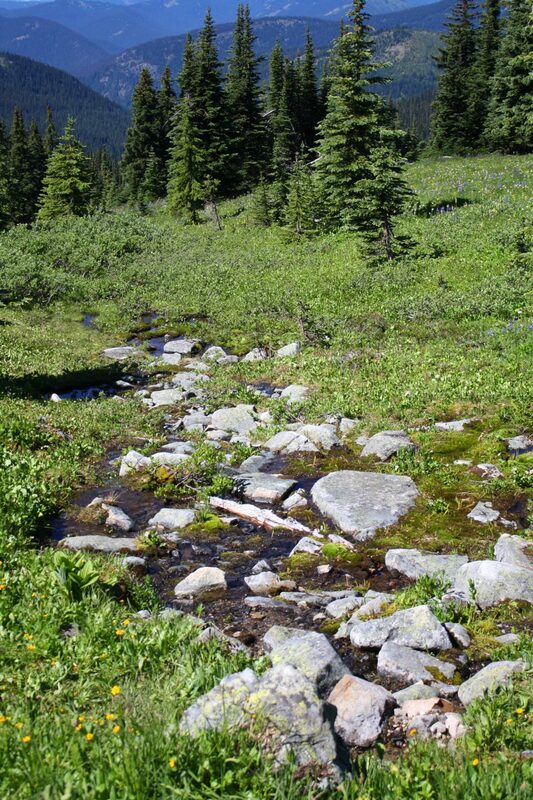 In the beginning you will descend through a timbered valley until you reach Buckhorn Wilderness Camp at 5km. There are a few toilet-paper free, pit toilets here. Go right to continue on Heather Trail. The trail snakes its way uphill on a rooty, rocky some times tree covered & opened trail. It’s worth every tiring step as once in the meadows the views begin to pop out. It doesn’t feel like you are on Mountain. It feels more like a gentle slope. The closest mountains are Frosty and Windy Joe and far away are distant peaks in the USA. The east delivers the Okanagan Range and to the west are the northern Cascades, often still covered in snow. After a long walk you will come to a lookout. Take a peek but don’t get too close as it’s a long way down. Once back on the trail, if you decide to keep walking the landscape is breathtaking with flowing creeks & little bridges to cross over. At anytime you can turn around on this in-out trail but keep in mind that walking through the meadows and getting to the base of Three Brothers is where the views pop out in all directions. I walked as far as the junction by the base of the 3 Brothers, which makes for a perfect day trip at 30km roundtrip. While the distance is fairly long, it took us 8 hours to complete as the terrain has very little change in elevation. From junction at the base of the Brothers, you can go up to the ridge to summit the Brothers or you can go left and continue hiking towards the other campsites in the meadows, however these are best done as multi-day trips. The Heather Trail is also known as one of British Columbia’s most spectacular multi-day hikes. It’s common to plan this trip as a 2 – 3 day hiking and camping trip as you can stop at several campsites along the route. Starting at the upper parking lot, it’s only 5km to Buckhorn Wilderness Camp and an additional 10km to the base of the Brothers one way. Once arriving at the base of the Brothers you can summit them but be prepared for a climb. You will be rewarded with spectacular views of the Manning Park area. You can continue onto Kickinghorse Wilderness Camp (5km) and Nicomen Lake (11km) as these campsites are perfect stops for your multi-day trip. For more information on the Heather Trail as a multi-day trip, visit the BC Parks website. Lori Pederson is an Education Assistant for The Surrey School District. In her spare time she's an avid hiker, ss'er and loves Dragon Boating. She scouts out challenging but safe hikes & SS'ing and posts them to her hiking site, Hiking For The Scaredy Cat. 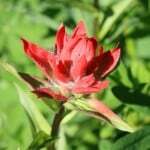 I am looking for a spot to take some visitors to enjoy some wildflowers. I was thinking this would be a beautiful place since we will be in the Hope area anyway. They are a bit older and not in the best shape. How far would you have to go to see these amazing wildflowers?